Tax benefits form window tinting? Combining both of these tax credits can help you save a lot of money during tax season this year. With tax season almost over, perhaps you're wondering where you can make deductions on your returns. You'd be surprised at the various different ways that you can get savings on taxes, especially because the tax code changes all the time. When it comes to your home, making improvements can sometimes present an opportunity for you to save money in the long run. One particular change, or rather one that managed to get extended to include the 2014 tax year, will benefit homeowners like yourself if you received window tinting treatment from the professionals at SmartView through Alta Mere. More importantly, it could come back next year as well. On Dec. 19, 2014, President Barack Obama signed the Tax Increase Prevention Act of 2014. In it, more than 52 tax rules that were set to expire with the 2013 tax year were extended to 2014. While there were many rules specific to businesses or families, homeowners were able to get some rewards out of it as well. For example, you're able to get a deduction on private mortgage insurance, and don't have to pay taxes on any canceled debt from a home. However, the most appealing tax credit to homeowners is the Non-Business Energy Property Credit, sometimes known as the energy tax credit. With this, you can claim up to 10 percent of the cost of any energy-saving improvements that you made to your home in the last year. The maximum limit of this credit is $500 for all improvements except windows, which has a ceiling of $200. Considering there are many different choices in energy-related improvements that you can make, Alta Mere would like to remind you that our SmartView window tinting treatments are certified to be energy efficient. 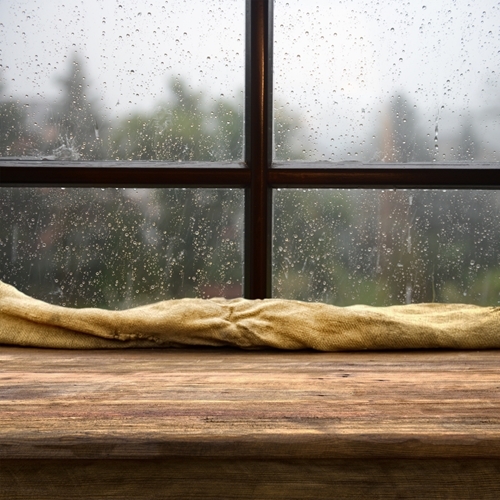 By using these window films, you're able to trap heat inside and deflect heat outside. In the former case, you can keep your house warm without turning up your thermostat as much during the cold winter months. On the other hand, when it's warm, blocking out the sunlight keeps your house cool, making you need the air conditioner less than before. In fact, you'll be able to reduce your energy bill by as much as 83 percent over the course of a year. In many ways, you can use window tinting as the starting point to a renovation project that makes your home energy efficient and tax deductible. You can also add alternative energy equipment to your home, such as solar hot water heaters, wind turbines and other related machinery. These take additional steps in reducing the amount of energy you consume, thus lowering your electric and heating bills. They are also eligible for the Residential Energy Efficient Property Credit, which allows you to take a tax deduction of 30 percent for each piece of equipment you install, with no limit and the ability to carry the unused portion to the next tax year if it's more than what you owe. Combining both of these tax credits can help you save a lot of money during tax season this year. Conveniently, both can be filed using the same Form 5695. Now, currently, the energy tax credit currently applies to the 2014 tax year, while the Residential Energy Efficient Property Credit extends to 2016. However, if you missed out on purchasing window tinting last year, don't fret about missing the tax credit. It has been extended before, back in 2011 to 2013. It's quite possible that it will receive another extension for 2015. However, you should look to more than just tax savings when considering SmartView window tinting treatment. It's a smart investment for your home all around.